With the reduction of fuel consumption, car manufacturers focusing on the green consumer market have a new worry. Not surprisingly, car batteries simply don’t last quite as long in electric cars as car batteries did in the typical internal combustion engine cars. This fact, though incomparable to many other features of an electric car, is daunting for many an average consumer. In turn, it’s served as an obstacle to increase in sales in what may well be the future of cars. For every market problem, there is generally a solution though. Either in clever marketing, research and development, or a combination of the two. And GM will be making use of both as it attempts to assuage consumer fears through a generous 8 year / 100,000 mile warranty. Only a short while back, GM became the first US automaker to run a battery pack plant, which is still building prototypes. And now, they’re already offering a warranty which applies to the popular Chevy Volt‘s battery. A warranty that the relevant GM press release accurately highlights as “the automotive industry’s longest, most comprehensive battery warranty for an electric vehicle.”[ad name=”Go-MM-LgSquare”] What makes this warranty that much more useful though, is not simply the extent of it’s coverage, but the added fact that it’s transferable. Finally, to settle matters completely, GM has laid out that it isn’t just betting on batteries not falling apart, rather, “GM engineers have completed more than 1 million miles and 4 million hours of validation testing of Volt battery packs since 2007, as well as each pack’s nine modules and 288 cells. 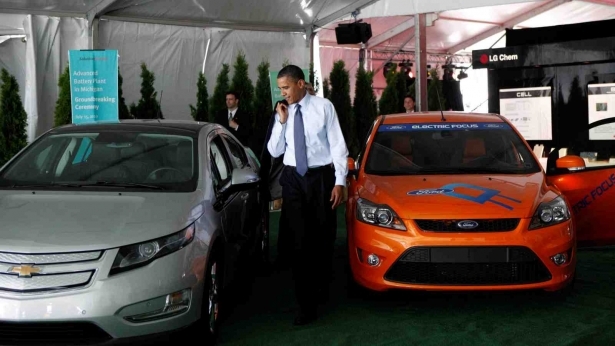 The development, validation and test teams have met thousands of specifications and validated each of the Volt battery’s components.” Knowing as much, and being protected even without needing to know that much, ought to instill a bit more confidence in the coming days as American consumers are able to make an important decision on what their next car will be.